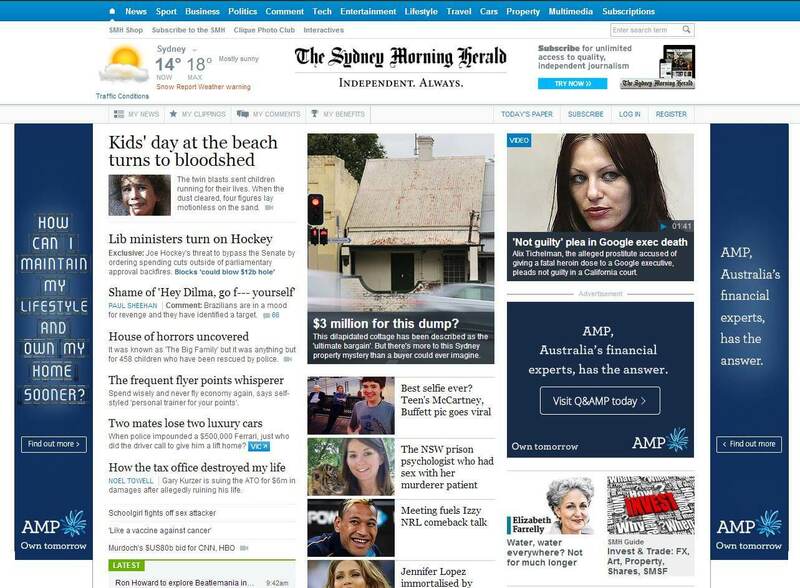 Working with designer Andrew Boddy, I have been assisting AMP with their websites since 2008. This work includes front-end templates for their main website (integrated by their internal IT team) and full site builds for their various campaigns websites. 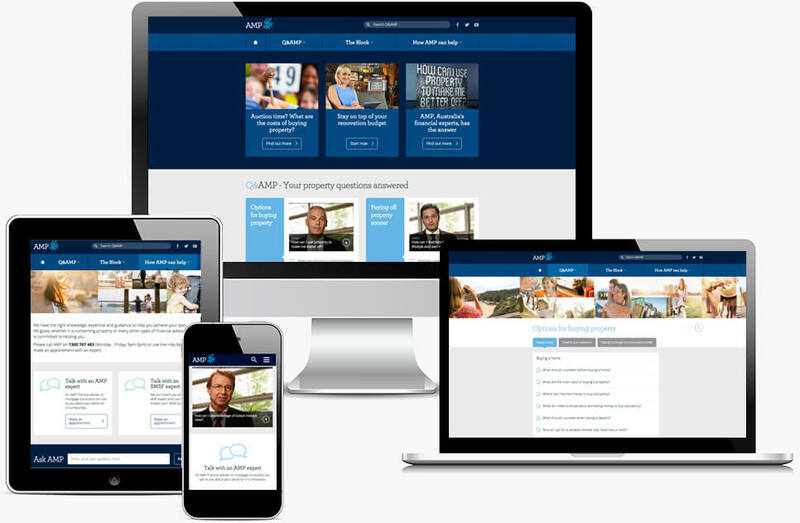 Most recently, we have built and maintain AMP’s flagship campaign site – Q&AMP. The Q&AMP website is fully responsive and includes many advanced features such as predictive search, 3D transforms, user-path reporting and bulletproof security. The website was heavily advertised on television and on billboards in all major cities.